These vegetarian fajitas are soooo delicious that you would never believe how easy they are to make. The amazing thing is that they’re made in one pan. So awesome and just plain perfect for Back-to-School. Why are these the best vegetarian fajitas ever? Because they taste amazing but are so quick and simple to make. I mean, they’re ready in 25 minutes and only use one skillet. It doesn’t get much better than that! What goes into that skillet? Quinoa, black beans, diced tomatoes, bell pepper, onion and smoked paprika. Then at the end of cooking, you top it with cheese and let that melt. To serve, you pile that delicious, cheesy, protein-packed, vegetarian filling into tortillas and top it with your favorite fajita toppings (things like sour cream, pico de gallo, shredded lettuce, diced avocado. You get the idea). The best thing about these, even better than everything else I said, is if there are leftovers. Then I just put the lid back on and pop it into the fridge. Dishes done. Ha! But seriously, the leftovers are great. You can use them like a rice bowl kind of thing for lunches the next day. A little pile of the quinoa filling on your dinner plate also acts as a great side dish for dinner the next day. Or, depending on how much you have, add some vegetable broth and you have a delicious soup. You know what else is awesome? Quinoa. It’s higher in protein and lower in carbs than other grains which makes it a great meat substitue. It isn’t keto, but it sure does the job in my book. 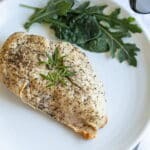 If you’re wanting to figure out what’s keto and what isn’t check this out. So if you’re looking for alternatives to rice or potatoes, it’s great. I really hope you love these fajitas as much as I do. 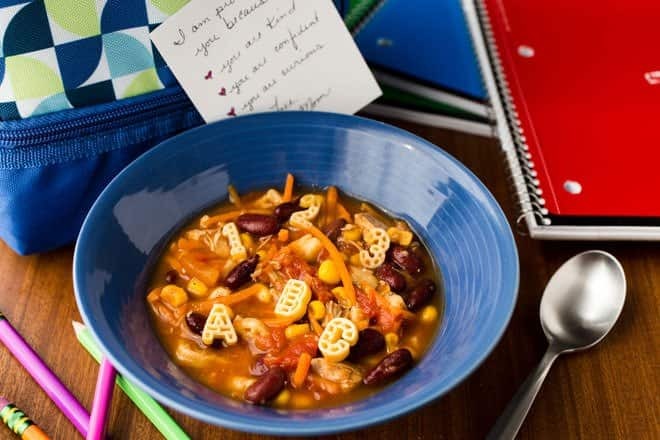 If you’re looking for another great back to school dinner idea, check out the Recipe for Success Soup. 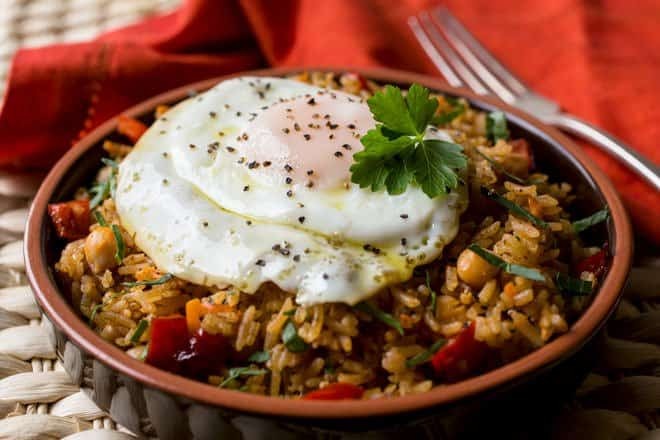 Warm the vegetable oil in a large skillet over medium-low heat. Add the onion and the bell pepper. Cook stirring occasionally until softened, 3-5 minutes. Add the chili powder, salt, and smoked paprika. Stir. Add the quinoa, beans, tomatoes and water or broth. Stir. Increase heat to high and bring to a boil. Reduce heat to low, cover and allow to simmer until all liquid is absorbed and the quinoa is soft, about 13-16 minutes. Remove the skillet from the heat and uncover. Fluff the quinoa with a fork. Sprinkle with the cheddar cheese. Return cover and allow the heat from the quinoa to melt the cheese. Serve the quinoa mixture in flour tortillas with the salsa and sour cream and any other fajita toppings that you like. This post originally appeared in August, 2013 and was revised and republished in August, 2018. I love this recipe!! So versatile and incredibly easy to make. It makes enough to last me an entire week and then some. 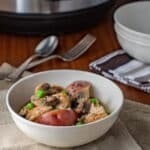 I passed it along to my brother(a picky eater and beginner cook) and he has given it rave reviews despite the fact that he is a meat lover and frequently complains when a dish is lacking meat. I add extra chili powder and green chiles for a little more flavor and spice but overall this is one of my proudest discoveries thank you for sharing! WOW…there is only one word for this…FABULOUS!!!! 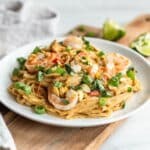 Just made this for dinner and my husband and I just LOVED it! This is a definite keeper and we will be eating this on a regular basis! THANK YOU for sharing! Mary, Thank you so much. 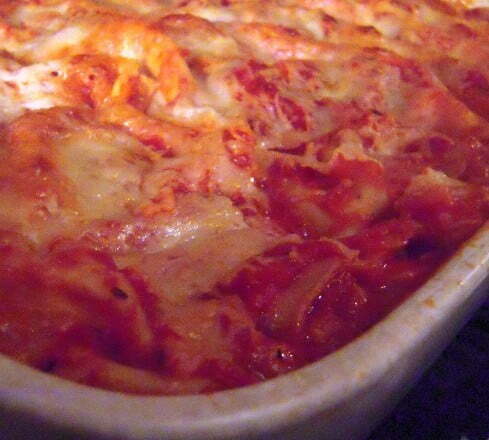 I am beyond delighted that you made my recipe and that you guys like it. Thanks for telling me. You’ve made my day! Always love another way to use quinoa! Yum! 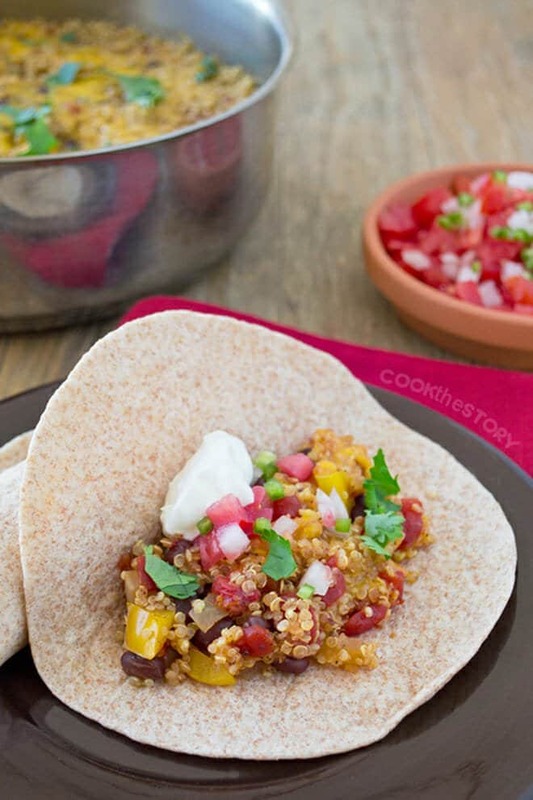 I love the idea of using quinoa instead of rice with Mexican meals! I’ll need to try this!! I have only recently begun serving my family quinoa. I think this would make them very happy, it looks and sounds so good! 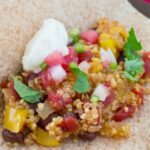 I never would have thought of using quinoa in a taco! I usually use it as a side. Can’t wait to try this. Thanks! 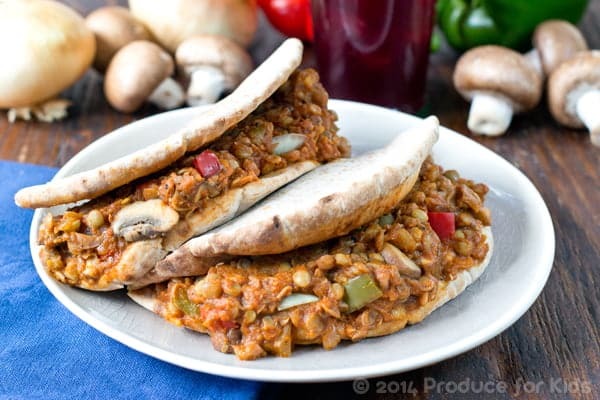 What a wonderful weeknight meal, especially for a Meatless Monday! I love all of the flavors going on – and so colorful!! I definitely need to try quinoa soon! These look delicious! Yum! 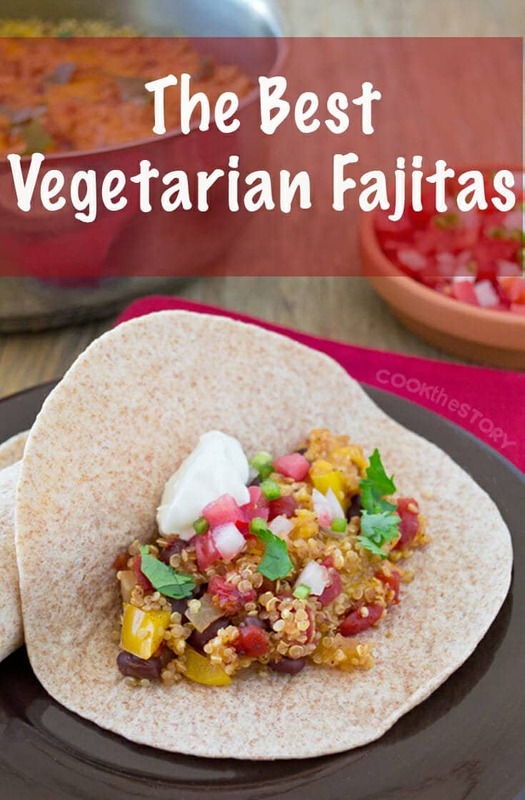 I love the idea of quinoa fajitas… what a brilliant idea and perfect meatless monday dish! I’ve just been recently introduced to quinoa, and this looks like an easy recipe to use it in, thanks! It is easy andmy kids like it a lot (probably because of the cheese). Let me say this though, even if your box of quinoa says that you don’t have to rinse it before cookingit, still rinse it. There is sometimes a bitter-ish taste that seems to come from a powder on the outside of the grains. I’ve had bad-tasting quinoa from not rinsing a couple of times now and have decided that it’s just not worth skipping that step. Can’t wait to go check out eveyrone else’s #BackToSchoolWeek posts. Yum!